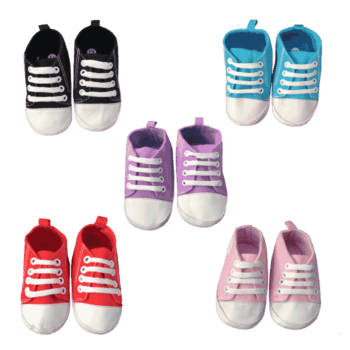 BABY, TODDLER AND YOUNG GIRLS SHOES IN A RANGE OF STYLES AND COLOURS. FIND THE PERFECT PAIR OF SHOES TO MATCH YOUR LITTLE LADY’S OUTFIT. 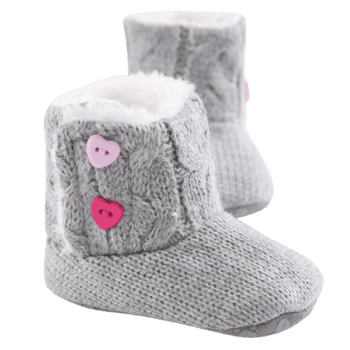 FROM SWEET LITTLE MARY JANE STYLE CRIB SHOES TO FLUFFY BOOTIES AND TRENDY ANKLE BOOTS. SHOP FOR THE LATEST TRENDS IN GIRL’S SHOES FROM THE COMFORT OF YOUR COUCH.